Polystichum acrostichoides, also known as the Christmas fern, is a North American evergreen fern. Its native range includes Nova Scotia to Wisconsin and south from Florida to Texas. It is commonly found in organically rich eastern North American woodlands. 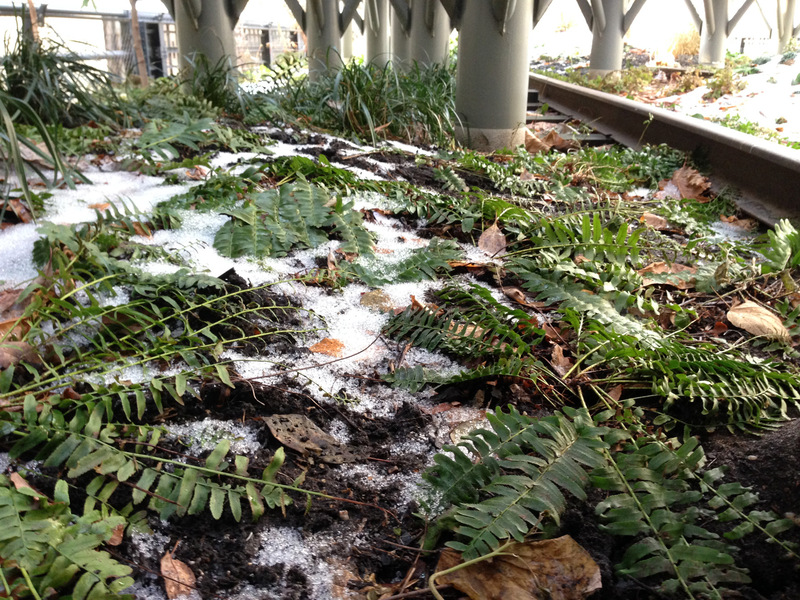 On the High Line it is easily identified in winter with its shiny dark green fronds, which can be seen in the woodland understories contrasting against the gravel and/or snow. A tea made from the root was used by Native Americans as a fever reducer and as a cure for stomachaches. Historically used in holiday decorations, this welcome touch of greenery in the chilly December landscape is why this plant is commonly referred to as the Christmas fern. On the High Line between Gansevoort and 12th Streets, and between 25th and 27th Streets.